Platinum graduated bead necklace, a Platinum Only Exclusive piece. 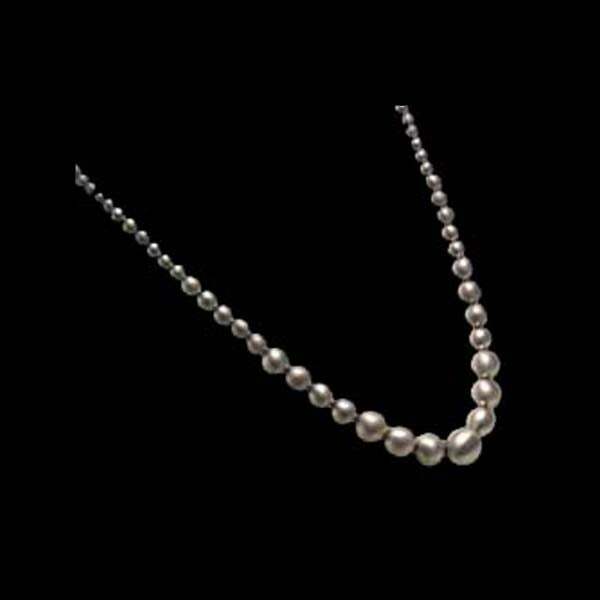 You will love this modern Sophisticated version of the classic pearl necklace. Shown with a Satin finish, also available with a polished finish or mixed. Center bead measures 7.5mm and slowly graduates to a 2.5mm bead around the back.